​ ​HOUSTON – ​Stages Repertory Theatre broke ground on The Gordy, a 67k-sf campus with three theaters. The three performance areas will be the 251-seat Sterling Stage, 223-seat Arena Stage and a Warehouse Stage with flexible seating for up to 134 people. The project site is at 800 Rosine St. 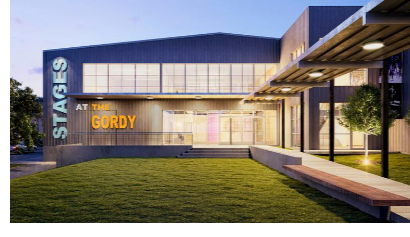 The Gordy will also have rehearsal studios, production shops and administrative offices, plus a pedestrian plaza with green space for outdoor events. The development will open during the 2019-20 season. ​Ch​eck out ​Retail and Office Market Research​.